Find your next Fort Pierce ride shouldn’t be a hassle. 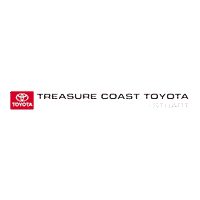 When you take advantage of Toyota specials at Treasure Coast Toyota of Stuart, you can find popular models like the Toyota Camry, the Toyota RAV4, and the efficient Toyota Corolla, all for smart prices! Have any questions about our new vehicles? Explore the available Highlander colors or check out the Toyota Camry pricing. If you still need answers, feel free to contact us at your convenience. We’ll be happy to help. After you browse our current Toyota incentives, visit us in person near Jupiter to take a test drive. Our Toyota professionals will be standing by answer any questions you may have about the car-buying process. We want to help you find the right Toyota for your personality and budget, and we can even show you how models like the RAV4 win out against their top competitors. You can even apply for financing before you step foot in the dealership or find out your estimated monthly payments by using our Toyota finance calculator. When you pick up your new Toyota vehicle, head to one of Stuart’s best restaurants to celebrate. We hope to see you soon in our Vero Beach dealership!